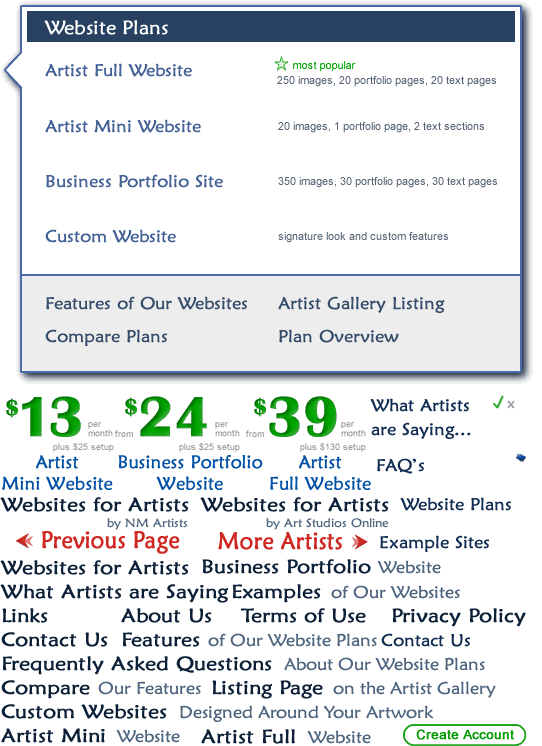 At NM Artists we have artist website plans to fit every need and budget. All of our plans are feature-rich, professional, affordable and easy to use — and all are backed by our free and friendly customer support. See Your Work on a Free Sample Website Today! Show your art to more people through our online gallery. Includes a link to your site. As we add new features, we seamlessly integrate them into your website. Custom features can be added to full and business portfolio sites to suit your individual needs.